One’s credit score matters more today than ever. Five years ago access to credit of all kinds was fairly easy. You could have a score in the low 600’s and still qualify for a mortgage and you did not have to have any credit history at all to qualify for an auto loan or to get access to a credit card. After the financial crisis of 2008-2009 caused in part because of so much money being lent to people with poor credit creditors no longer give out money so easily. Thankfully it is possible to get a credit card if you have bad credit; you just need to know where to look. Credit cards have a bad rap for getting people deep into debt and causing their credit score to go down, which does happen often. The ironic thing is that credit cards are the best way to bring up your credit score as well. If you own a credit card that reports to all three bureaus your score will skyrocket if you do things the right way. First, you need to keep your balance very low, at 0 is best but be sure to keep your balance under 30% of your maximum credit line. This means if your credit line is 500 dollars you should not run a balance over 150 dollars ever from month to month! A 30-50 point increase in your credit score may not sound like much, but it is huge in terms of gaining access to not only credit, but credit on favorable terms! This is a great credit card to own if one of you are looking to raise your credit score. This card reports to all three credit bureaus monthly which means your credit score will rise if you take this card and your balances seriously enough. You will have to pay a variable APR of up to 20% but this is what you have to expect if you do not have good credit these days. You will have to potentially pay up to 60 dollars in annual fees each year based on your credit “worthiness”. The annual fee and APR are both higher than I like when I recommend cards to my readers, but this card makes the cut because it accepts applicants with poor credit and it reports to credit bureaus each month! As long as you pay off your balance each month during the grace period you will not have to worry about paying interest on your purchases anyway. Orchard has another credit card that is very enticing for those of you with bad credit. Orchard’s visa card is very similar to its classic Mastercard. The only real difference is whether you prefer to work with Visa or Mastercard. The annual fee and APR are all the same as well as the credit needed to obtain the card. These cards are only for those of you with a credit score between 550-650, if your score is average or better you should be able to find a card with better rates and terms. Capital One’s Secured Mastercard is a great choice for those of you with bad credit that are looking for a secured credit card. The APR is variable but you can expect to pay a fairly steep 23%, the annual fee is fixed at a reasonable 29 dollars a year which is a drop in the bucket if you use the card regularly. You can achieve a maximum credit line of $3,000 depending on your security deposit. This is another card that only people with very poor credit should think about applying for, if your score is in the “fair” range or better focus on cards with less strict terms and more attractive APR. The last credit card to make the cut is Mango’s Prepaid Mastercard. This is one of the best prepaid credit cards for people with bad credit. This is more of a debit card than a credit card, but you do get a 20 dollar sign up bonus and free direct deposit is available as well. This is another option to pursue if the three cards above do not end up working out for you. I urge you to apply for several of the cards listed above, filling out an application can do nothing but help your situation. If you do end up with one of the cards above or a different card make sure that you take paying off your balances in full seriously. The sooner you pay off your balance the less in interest you will have to pay and the better your credit score will look. 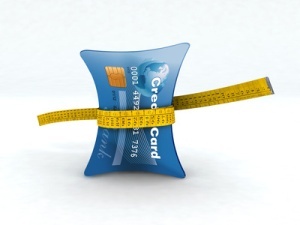 Credit cards offer you an excellent opportunity to raise your credit score!